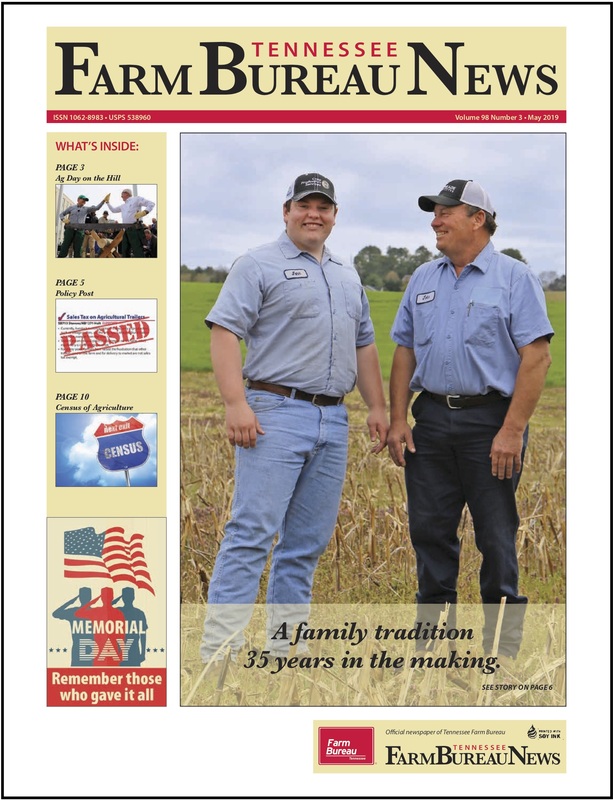 Haskew is an efficient producer, who adds value to his crops by operating a feed mill. He also adds income to his farm by raising beef cattle. As a result of his success as a row crop and beef cattle producer, Haskew has been selected as the state winner of the Swisher Sweets/Sunbelt Expo Southeastern Farmer of the Year award. He joins nine other individuals as finalists for the overall award that will be announced on Tuesday, Oct. 18 at the Sunbelt Expo farm show in Moultrie, Ga.
A farmer for 35 years, Haskew’s farm has 1,625 acres with 1,150 acres of rented land and 475 acres of owned land. Last year, his per acre yields were 168.48 bushels of corn from 492 acres, 47.08 bushels of soybeans from 630 acres, 60.7 bushels of wheat from 138 acres, 4.75 tons of wheat haylage from 45 acres, 2.7 tons of grass and clover hay from 285 acres. He also has 170 acres of pasture where he grazes his cattle. A feed mill he operates adds value to his crops. “We process 30% of my corn into various feeds,” says Haskew. “We also bag quality whole corn.” Haskew says sales of the value-added feed have been a big help in keeping his overall farm profitable. He sells his Fiery Gizzard brand feeds in five stores and to 70 individual customers. Haskew started the feed business in 1998 with sales of 3,000 bushels. In 2015, his sales from the feed business reached 21,000 bushels. He keeps at least 100 cows in his beef herd. His cows have produced at least a 92% calf crop during the past five years. Haskew says average weaning weights are about 500 pounds. He sells most of his calves as feeder calves through a graded feeder calf sale, and backgrounds most of the rest. He also raises replacement heifers, and always keeps a group of heifers on feed. He also sells Angus bulls to small beef producers. Haskew uses a combination of minimum tillage and no-till planting. He spreads risk by planting corn hybrids and soybean varieties with different maturity dates. He says crop insurance has helped him overcome major losses during four years since 1997. Keeping accurate records and knowing his production costs are keys to helping Haskew market his crops for profitable prices. He markets corn in 5,000-bushels increments and sells soybeans in 1,000-bushel batches. Local end users buy his corn and soybeans and typically offer prices well above the national price levels. Since much of the land he farms is rented, he has worked to develop good relationships with landowners, and these relationships have stood the test of time. Haskew has improved his farm management skills by taking part in the University of Tennessee MANAGE program. He has also been a member of the Farm Business Analysis Program available from Tennessee Farm Bureau. Typically, he uses forward pricing on about 40 to 50% of the corn he produces, and he stores the remaining corn on his farm. He uses forward pricing to cover his out-of-pocket expenses. “My soybeans are marketed by cash forward contracts, basis contracts and storage,” he says. “About 40% of the soybeans are marketed on cash forward contracts, 50% on basis contracts and the other 10% are stored on the farm,” he says. He markets wheat to provide cash flow during the middle of his crop year. He also uses a portion of his wheat in his Fiery Gizzard Scratch chicken feed. In the years ahead, Haskew plans to increase his use of precision farming practices such as grid-based soil sampling, auto-steering and variable rate seed planting. He says he started farming at age 16 when he worked for a local farmer, and started farming on his own after he graduated from high school in 1980. High interest rates and dry weather made that a difficult year to start farming. “Our soil is our most valuable resource,” says Haskew. He has cleared land for pastures. He has conserved soil by planting native grasses. He also was an early adopter of Roundup Ready soybeans. Haskew has been recognized for his work in soil conservation in 1986 and 1995 by his local conservation district. Haskew has been very active in Marion County Farm Bureau, as a member of the board and as president for 22 years. He helped to organize the Marion County Forestry Association. He serves as chairman of the Marion County Soil Conservation District board. He has also been active in Marion Farmers Co-op. He served on the Marion County Extension Committee and on the board of the Marion County Livestock Association. Haskew has also served on the board of the USDA-Farm Service Agency in Marion County. Since 1980, he has been an active member of Lou’s Chapel United Methodist Church. He has also been a member of the board of Sequatchie Valley Electric Cooperative. 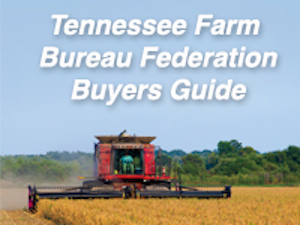 In Tennessee Farm Bureau, he has been a state board member since 2008. He has also served on a number of Tennessee Farm Bureau committees on the state level. 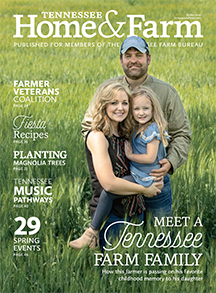 He is also a past board member of Tennessee Soybean Association. He took part in an agricultural leadership program sponsored by University of Tennessee Extension. From 1995 until 2010, he was a certified crop advisor. In this capacity, he learned a great deal about soil, water and nutrient management that he has been able to use on his own farm. He has also been a voting delegate at American Farm Bureau conventions. His wife Shannon works for BlueCross BlueShield of Tennessee. In past years, Shannon worked as office manager for Marion County Soil Conservation District. Shannon has hosted farm-city events for about 11 years where she and James welcomed local elementary school students to their farm. She has also served on the local and state Farm Bureau’s Women’s Committee. She has also been a voting delegate at American Farm Bureau annual meetings. James and Shannon have a daughter Emily who will be a University of Tennessee student this fall. Emily plans to major in agricultural communications and eventually hopes to represent agriculture as an environmental attorney. Shannon and Emily both volunteer at the National Cornbread Festival held each year in South Pittsburg, known as a manufacturing center for cast iron skillets. As the Tennessee state winner of the Swisher Sweets/Sunbelt Expo award, Haskew will now receive a $2,500 cash award and an expense paid trip to the Sunbelt Expo from Swisher International of Jacksonville, Fla., a $500 gift certificate from Southern States cooperative and a Columbia vest from Ivey’s Outdoor and Farm Supply. Previous state winners from Tennessee include: James R. Graham of Newport, 1990; Burl Ottinger of Parrottsville, 1991; Dwaine Peters of Madisonville, 1992; Edward Wilson of Cleveland, 1993; Bob Willis of Hillsboro, 1994; Bobby W. Vannatta of Bell Buckle, 1995; George McDonald of Riddleton, 1996; Jimmy Gaylord of Sharon, 1997; Jimmy Tosh of Henry, 1998; Eugene Pugh, Jr. of Halls, 1999; Harris Armour of Somerville, 2000; Malcolm Burchfiel of Newbern, 2001; Ed Rollins of Pulaski, 2002; John Smith of Puryear, 2003; Austin Anderson of Manchester, 2004; John Litz of Morristown, 2005; Bob Willis of Hillsboro, 2006; Grant Norwood of Paris, 2007; Jerry Ray of Tullahoma, 2008; Richard Atkinson of Belvidere, 2009; Brad Black of Vonore, 2010; Mac Pate of Maryville, 2011; Steve Dixon of Estill Springs, 2012; Richard Jameson of Brownsville, 2013; John Keller of Maryville, 2014; and George Clay of Pelham, 2015. A distinguished panel of judges will visit Haskew’s farm and the farms of the other nine state finalists during the week of Aug. 1-5. The judges this year include Clark Garland, longtime University of Tennessee Extension ag economist from Maryville, Tenn.; farmer Thomas Porter, Jr., of Concord, N.C., who was the overall winner in 2011; and Charles Snipes, retired Mississippi Extension weed scientist from Greenville, Miss.